Naphthalene is an organic compound. A hydrocarbon of the aromatic series, it is solid, crystalline and colourless, this product is included in coal tar. It is used in the manufacture of explosives, dyes and as an insecticide. 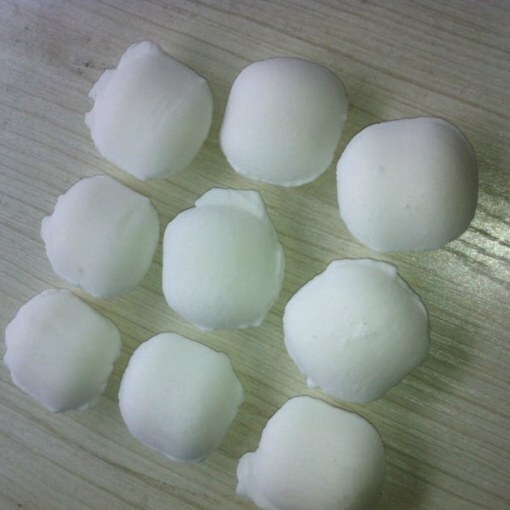 Naphthalene has an extremely pungent smell, it is obtained from coal tar by distillation, it its content may vary from 8 to 10%, naphthalene can be identified and of the products of pyrolysis oil, which is substantially cleaner than coal. Naphthalene was open to the world in 1820, the garden in the coal tar. In the same year, a study of its physical characteristics began George. Kidd, who suggested the now-famous name. In 1826 Faraday established empirical formula of C5H4 substances, and in 1866 Erlenmeyer suggested the structure of a pair of benzene condensed rings. Since naphthalene has excellent antiseptic properties, it is used in surgery. He helps with diseases of the intestine, inflammation of the bladder, when dealing with worms and typhoid fever, he proved himself still in the role of motrin. Today, the naphthalene was replaced in the fight with the mole most effective insecticides. Naphthalene is able to protect from biting insects including: flies, gadflies, horseflies, etc. It is often used as a safety tool in taking care of the cattle suffering from anthrax. According to their chemical characteristics of naphthalene is similar to benzene: it's as easy sulfuroasa and niruetsya and communicates with Halogens. As a difference from the benzene we note that the naphthalene easier able to react. Its density is 1.14 g/cm3, the substance begins to melt at around 80,26°C, boiling temperature equal 217,7°C, in water its solubility is 30 mg/l, it ignites at 525°C, and the temperature of the flash is equal to the range from 79 to 87°C, the molar mass is 128,17052 g/mol. Prolonged exposure contributes to damage to, or destruction of red blood cells, called erythrocytes. The staff of IARC opredeleyayut substance as a possible carcinogen that can lead to cancer in humans and animals. In humans, naphthalene, as a rule, accumulates in adipose tissue where it is concentrated until, until it begins to burn, and poison will not penetrate into the blood, which will contribute to the poisoning of the body, which can manifest as bleeding, neoplasm, etc.